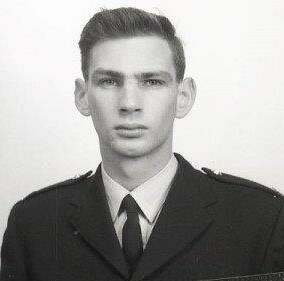 At about 5.40 a.m. on Friday, 19th February 1971, Constable Fleming was the observer in a police divisional van travelling along the Boulevard, Kew, when the vehicle ran off the road, crashed through a fence and plunged down an embankment. Fleming received massive head injuries and died instantly. 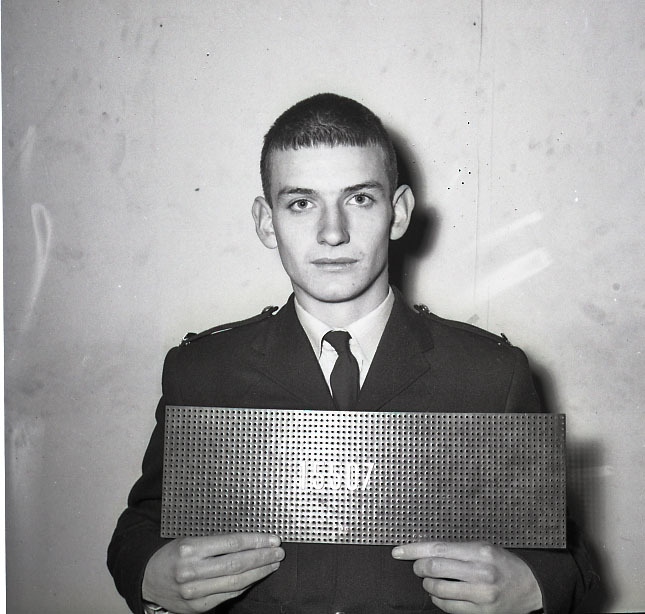 At about 9.51 a.m. on Saturday, 17th April 1971, Constable Benbow attended at the site of a partly demolished building which stood at the intersection of Swan Street and Lennox Street, Richmond. The building was in an unsafe condition, and when Benbow attempted to move bystanders out of the danger zone a wall collapsed, killing the Constable and three others. 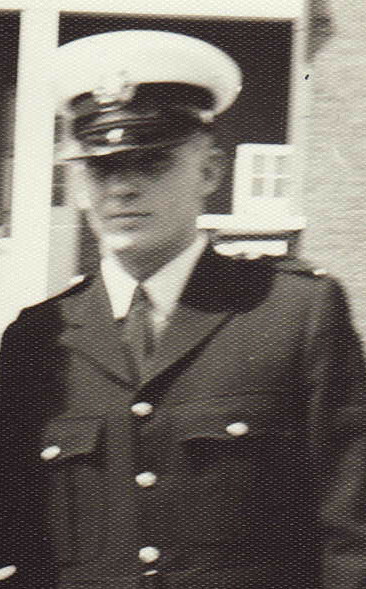 At about 11.30 a.m. on Saturday, 9th October 1971, Constable Worland was driving along Eltrick Road, Heywood, when he lost control of his car and crashed. Both Worland and two of his passengers were critically injured and all died some time later at the Portland Hospital. The other deceased persons were Worland’s wife June, and Mrs. Sue Benbow, the widow of the late Constable William Benbow, 16081. Worland had been off duty at the time and the country trip was one of numerous outings the Richmond Police organised for Mrs. Benbow after her husband’s death. 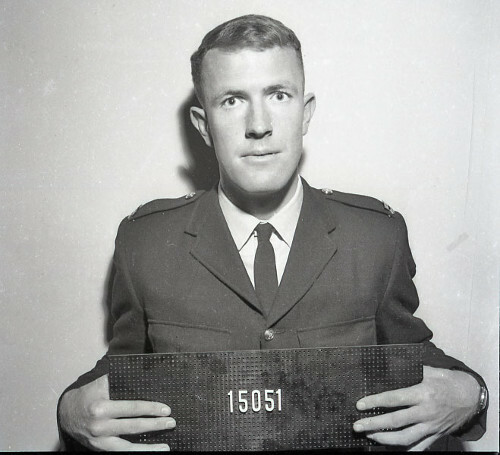 At about 8.15 p.m. on Tuesday, 25th April 1972, Senior Constable Creber was on foot pursuing a burglary suspect across a reserve adjacent to Barkly Place, Heidelberg. At this time another policeman, Sergeant John Raymond Matthews, 12407, of Heidelberg West mistook Creber for the offender and called on him to stop. Creber failed to respond to this so Matthews fired a warning shot which he intended to go over Creber’s head. Instead the bullet struck Creber at the base of the skull and he died a short time later at the Austin Hospital. 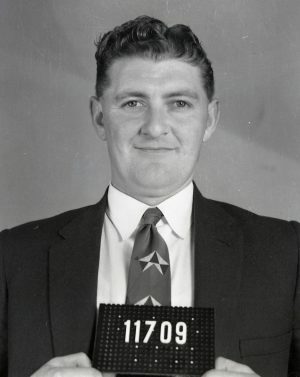 At about 3.20 pm on Tuesday, 8th January, 1974 Senior Constable Curson was standing on the steps at the main entrance to Flinders Street Railway Station talking to a newspaper seller. Whilst they spoke a young woman came up and spoke to the Constable, who turned towards her. At that moment, James Henry Belsey, walked up behind him, produced a knife, and cut the policeman’s throat. As Curson slumped to the footpath, Belsey calmly walked away, crossed Flinders Street and entered Young & Jackson’s Hotel. He was arrested a short time later. Meanwhile, Curson had been removed to Prince Henry’s Hospital with a massive wound to his throat and died two hours later. It was later learned that Belsey had a lengthy history of mental disorder, and had frequently threatened to kill a policeman. 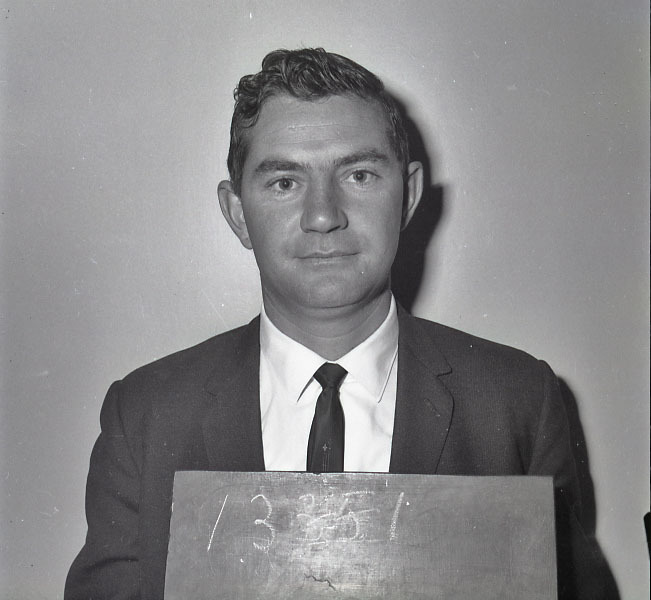 He was charged with Curson’s murder but acquitted on the grounds of insanity, and was then sentenced to be detained at the Governor’s pleasure. 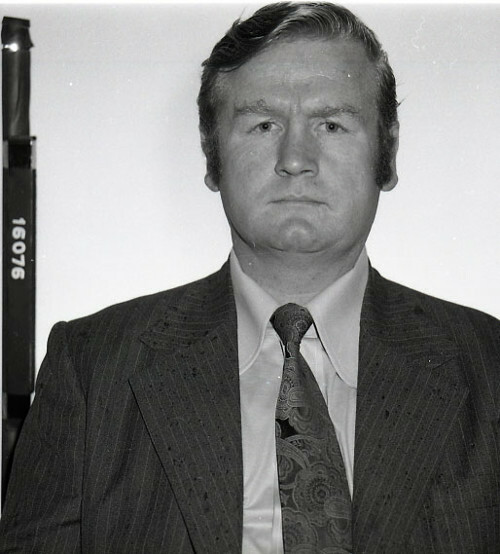 At 11.10 p.m. on Tuesday the 16th of April 1974, Senior Constable Large was riding a police motorcycle on routine patrol along the Northern Highway, heading towards Kilmore. When some 60 yards from the intersection of the Hume Highway he attempted to overtake a horse float being driven in the same direction. As he did so a Volkswagon sedan turned from the Hume highway into the Northern Highway. The headlights of the oncoming vehicle temporarily blinded him, and his motor cycle struck the offside of the horse float. He rebounded off that into the path of the Volkswagon and was killed instantly. 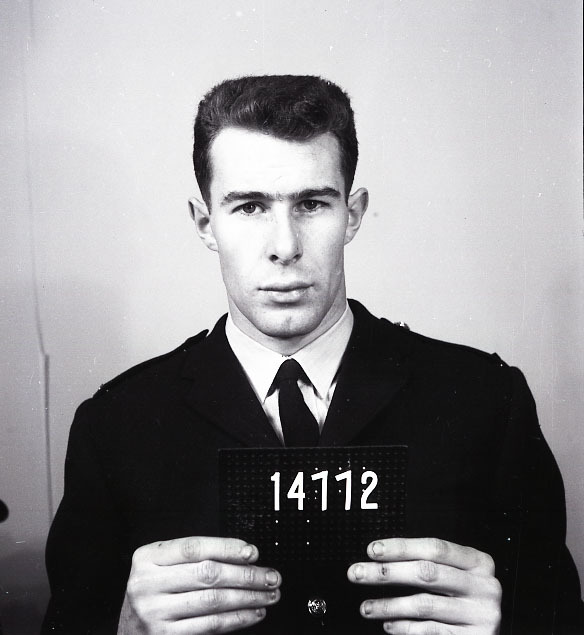 At about 5.40 a.m. on Sunday, 2nd February 1975, Senior Constable Wilson was driving a police vehicle north in Stud Road, Scoresby, when he swerved to avoid another vehicle which pulled out in front of him. He lost control of the car, which skidded off the road and overturned. Wilson was thrown out of the vehicle and fatally injured. 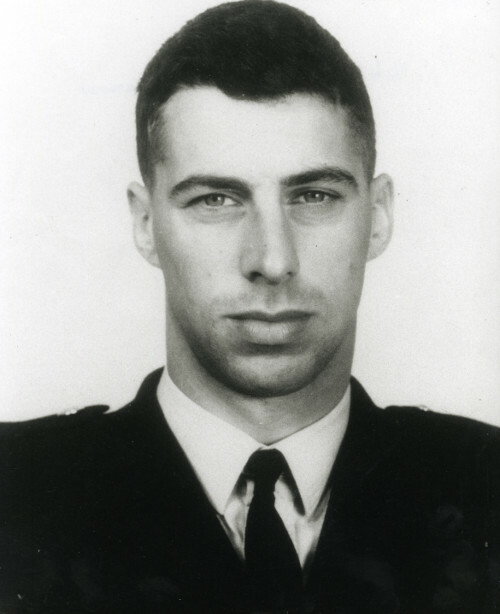 At about 2 p.m. on Sunday, 1st June 1975, Sergeant Baum was preparing to set up a road block on the Princes Highway at Cann River when he accidentally killed himself with his own shotgun. The weapon had been on the front seat of his car, and he had picked it up by the barrel and was pulling it towards him when it discharged, severely wounding him in the stomach. He died within 15 minutes. The road block was being set up in response to a false report that a wanted man was in the vicinity. It was later learned that this information had been part of a deliberate attempt to mislead the police and thus allow the fugitive to escape. 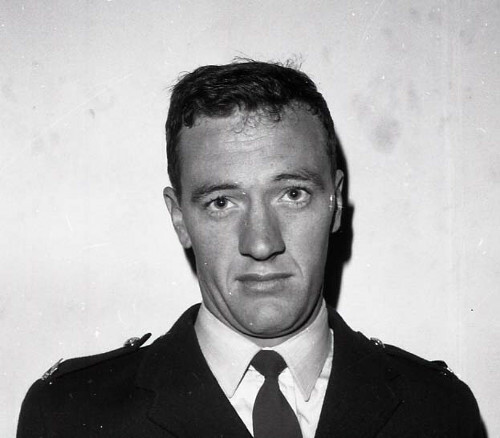 In the early hours of Wednesday, 25th February 1976, Detective Sergeant Hodge was returning to his office after having performing ‘observation’ duty on suspected criminals in the Drouin area, when his car ran off the road, went down an embankment and overturned. Although the accident occurred on the Princes Highway just east of Drouin, he was not located for a considerable time and was dead when help arrived. 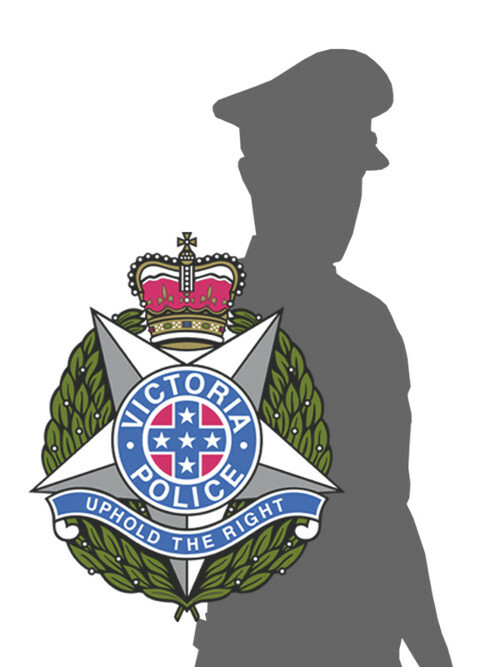 At about 5 p.m. on Tuesday, 13th December 1977, Detective Senior Constable Waring was a passenger in a police car which was involved in a collision with another vehicle at the intersection of the Katamatite-Congupna Road and the Katandra-Numurkah Road, Invergordan. He was fatally injured in the accident. 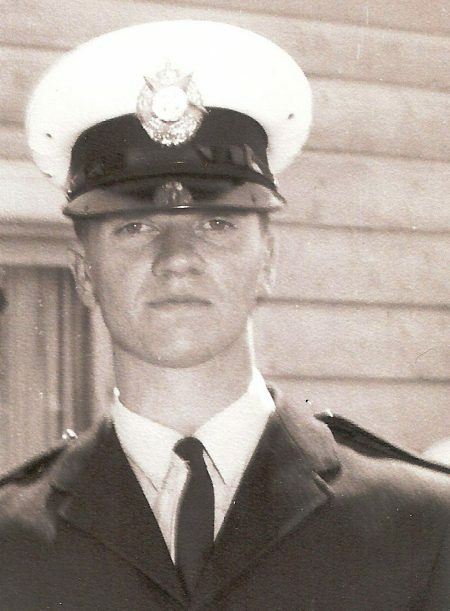 At about 9.05 a.m. on Tuesday, 11th July 1978, whilst involved in motor cycle training exercises on the Tullamarine Freeway, Senior Constable Atkins lost control of his machine and fell, sustaining serious injuries. He was taken to the Royal Melbourne Hospital, where he died at 11 a.m. the same day. At about 11.30 am on Friday, 13th July, 1979 Detective Lane accompanied David Bernard Chapman, an 18 year old car theft suspect, to a disused bus parked in a camp site at Kyalite, Southern New South Wales. Chapman had been living there for a short time, and had told the Detective he had a receipt amongst his possessions which would exonerate him of the theft. Whilst Lane searched the bus Chapman took a .22 calibre rifle and shot the Detective in the head. The policeman fell to the floor, and Chapman then walked up and again shot him in the head. 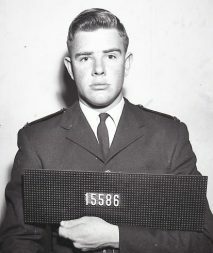 He then dragged the corpse to a nearby sullage pit, where he dumped it, before making his escape in the police car, in company with his 17 year old girlfriend Kerryn Anne Bonser. He later dumped the car in the Edwards River, 5 kilometres away and took to the bush. Despite a massive man hunt he was not located until the 19th uly, 1980 at a property in the Kyalite District. He admitted his guilt, and appeared before Paramatta Supreme Court charged with the murder. On 1st July, 1980 he was sentenced to life imprisonment. At 9.25 a.m. on Friday, 7th September 1979, Senior Constable Mitchell was escorting a wide-load through Port Melbourne when his motor cycle collided with a car at the intersection of Ingles Street and Fennell Street. Mitchell died later the same day at the Alfred Hospital as the result of the injuries he had received. Mitchell’s widow, Pam, was the first police widow to be part of the Police Legacy Scheme.